Las Velas Bridals- Roxanne P.
A few months ago we captured Roxanne & Phil’s engagement photos downtown Houston. We had such a wonderful time with them both Roxanne asked us to capture her bridals at Las Velas. She brought along 2 stunning gowns for us to play with. 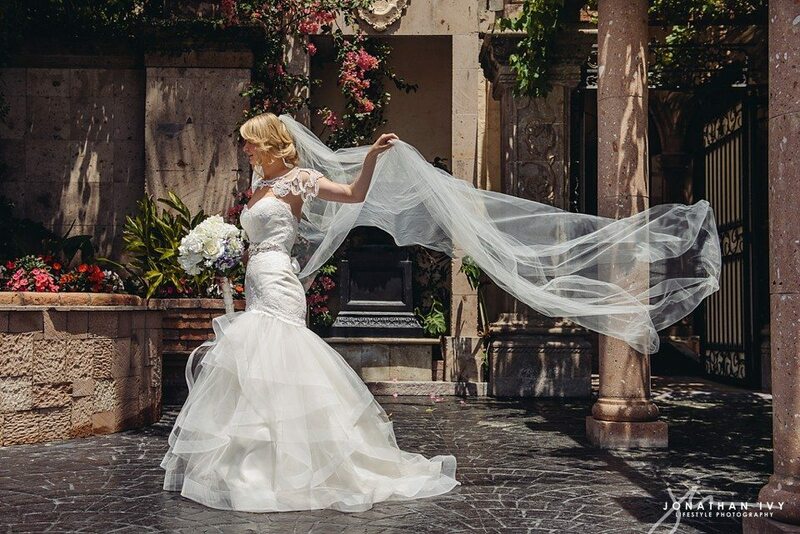 Here are just a few of our favorites from her stunning Las Velas bridal portraits. These black and white bridal portraits are just stunning! Las Velas has several beautiful places to capture classic bridal portraits. Here is Roxanne’s 2nd gown.